The 10-day long protest at the Diablo Canyon Nuclear Power Plant 30 years ago this month may have been the most significant anti-nuclear power demonstration ever held in the U.S.
"No Diablo," chanted thousands of protesters at the gates of the Diablo Canyon Nuclear Power Plant near San Luis Obispo, Calif., in September of 1981. "No Diablo over me." The 10-day gathering came two years after the accident at Three Mile Island in Pennsylvania and the big anti-nuclear rallies in New York City and elsewhere, including 30,000 protesting in San Francisco against the nascent Diablo plant, that incident inspired. But complete with rock star Jackson Browne and friends, plus plenty of national media coverage, the 1981 Diablo Canyon protest was viewed at the time as the most significant anti-nuclear-power demonstration ever held in the United States. In the 30 years since, in many ways it retains that distinction. 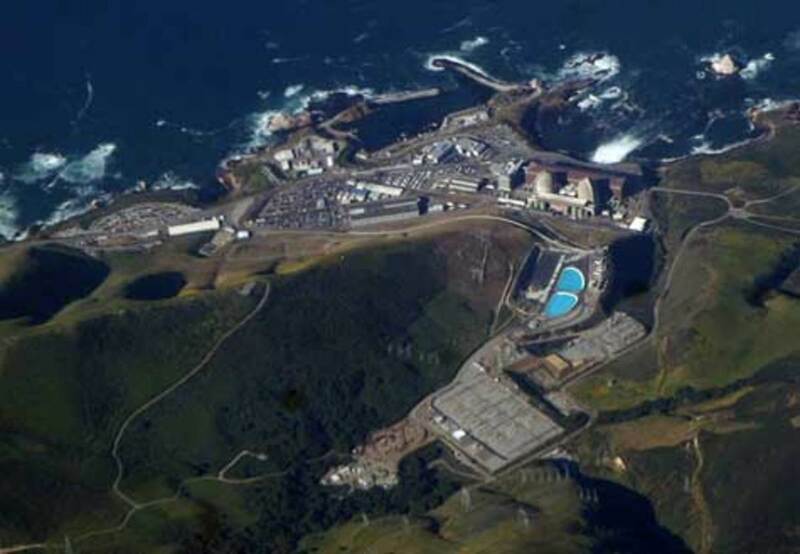 Protesters claimed the nuclear power plant, constructed on an earthquake fault along California&apos;s coastline, was unsafe. Under the leadership of a conservation group dubbed the Abalone Alliance, they attempted a human blockade to halt the start-up and low-level testing of the just-licensed plant. Ultimately, some 1,960 protesters were arrested on trespass charges. "Thirty years later, I still feel a great sense of pride and patriotism that I was arrested," says Jill ZamEk, now an elementary school teacher in San Luis Obispo. For the vast majority of those arrested at Diablo, like ZamEk, it would be the first and only time they ever would be arrested. "At the time we had a great sense of hope that we could rally public opinion and change government policy, like we did with Vietnam," explains ZamEk, who has continued with her activism for three decades with the San Luis Obispo Mothers for Peace. "The Diablo protests essentially told policymakers, &apos;Enough!&apos; recalls Terry Lamphier, arrested at the 1981 demonstration and now an elected official on the Board of Supervisors for California&apos;s rural Nevada County. "The message was heard, and there were no new orders for nuclear plants for decades." Lamphier was one of a dozen representative defendants in a "showcase" trial of the arrested protesters held in May 1982. During the trial, defendants admitted they broke trespass laws but argued they were "compelled by necessity" to protect their community from the greater harm by the start-up of the nuclear plant. To make their case, the defense called upon some of the country&apos;s foremost experts in the fields of nuclear engineering, economics, public health, and ethics — in effect putting the Diablo plant and nuclear power itself on trial. "I like to think that the protests added to the political drive to stop building nukes," says Richard Frishman, the attorney who represented the Diablo protesters at what became known as the "Defense of Necessity" trial. Such a defense has been used since, with varying degrees of success, from anti-Iraq War demonstrators to abortion foes. But apart from that, says Frishman, now practicing in Grass Valley, Calif., "I don&apos;t believe the demonstrations directly affected political decision-making or public policy." On the last day of summer 1981, on the same day that the few remaining protesters at Diablo abandoned what had come to be seen as a futile blockade, PG&E quietly disclosed an error at the plant. A junior pipe analyst discovered that the wrong blueprints had been used when building the bracing that supported safety equipment at the Unit 1 reactor. PG&E engineers had used a mirror image diagram for Unit 2 in building Unit 1 and vice versa, calling into question the seismic safety of the plant. Hours before fuel loading was to take place and Diablo Canyon brought on line, the Nuclear Regulatory Commission halted firing up the plant. Although PG&E insisted that the problems could be solved in a matter of weeks, the switched blueprints created an uproar. Over the following weeks, one frightening and embarrassing miscue after another was exposed, culminating in the Nuclear Regulatory Commission revoking PG&E&apos;s low-power testing license for Diablo, pending a thorough review of the plant&apos;s safety engineering. The plant did eventually power up — in 1984. Originally budgeted at about $300 million, by the time both reactors went online in March of 1987, the cost of the plant had ballooned to $5.52 billion. For some involved in the sit-in and arrested at the gates of Diablo, the presence of so many engineering flaws vindicated their illegal behavior. Recently, health and safety concerns brought to light after the Fukushima power plant disaster in Japan prompted the San Luis Obispo Mothers for Peace to join 25 other groups to petition the federal government to halt the license renewal of nuclear plants until regulators address these concerns. Mothers for Peace has also filed several challenges with the NRC, demanding that the agency implement the safety recommendations of its own task force that examined the Fukushima nuclear meltdown in Japan before license renewal of the Diablo plant can continue. The Diablo plant is currently undergoing hearings to extend its operating permit until the year 2044 while, concurrently, a newly discovered earthquake fault is being evaluated for its potential effect on the facility. All of the concerns expressed in 1981 — seismic safety, radioactive waste disposal, vulnerability to terrorist attack and health risks — remain on the table today. "I think the Diablo Canyon reactor is perhaps the most dangerous reactor in the United States," warned nuclear physicist Michio Kaku 30 years ago. "Even physicists very much in favor of nuclear power have come out and expressed severe reservations about licensing a nuclear power plant three miles from an active earthquake fault." Earlier this year, the award-winning science commentator served as TV&apos;s "go-to" expert in discussing the Japanese nuclear crisis. At the same time Kaku was explaining how an earthquake and tsunami crippled the nuclear power plants, U.S. Energy Secretary Steven Chu was telling Americans on CNN: "It is forbidden to build a nuclear power plant on an earthquake fault." While local opposition to Diablo remains intense, and Jerry Brown, who repeatedly spoke out against the Diablo plant while California&apos;s governor in 1981, is governor again, it&apos;s really the federal government that has regulatory authority over the plant. Activists say they are astounded that after the meltdowns in Japan the Obama administration still wants to build more nuclear power plants. For 30 years at Diablo, Frishman said he&apos;s observed "many cover-ups of shoddy and dangerous work and the head-in-the-sand attitude of regulators. This has kept my cynicism for government at high levels while increasing my respect for those who have the courage to risk careers to speak out." Nuclear power supporters cite the decline of large-scale public protests like the one at Diablo in September 1981 as evidence of the decline of the anti-nuclear energy movement. (Although Jackson Browne and his musical allies have reunited their Musicians United for Safe Energy project again.) Mothers for Peace contend that instead of mass protests, Diablo&apos;s foes have chosen to contest the plant in less dramatic arenas, such as regulatory and licensing hearings and court challenges. "I still have hope we can stop the re-licensing of the plant," says ZamEk. "I&apos;m willing to get arrested again if it will help the cause."